The Centre for Sport and Exercise Science and Medicine (SESAME) at The University of Brighton is the proud owner of a 210° Igloo projection system. Floor space in the lab is at a premium, so we proposed a 210° screen that can be easily stored then quickly erected whenever it is needed. Meanwhile, the projection and audio system are permanently fixed, meaning even quicker set-up times and little need for warping. 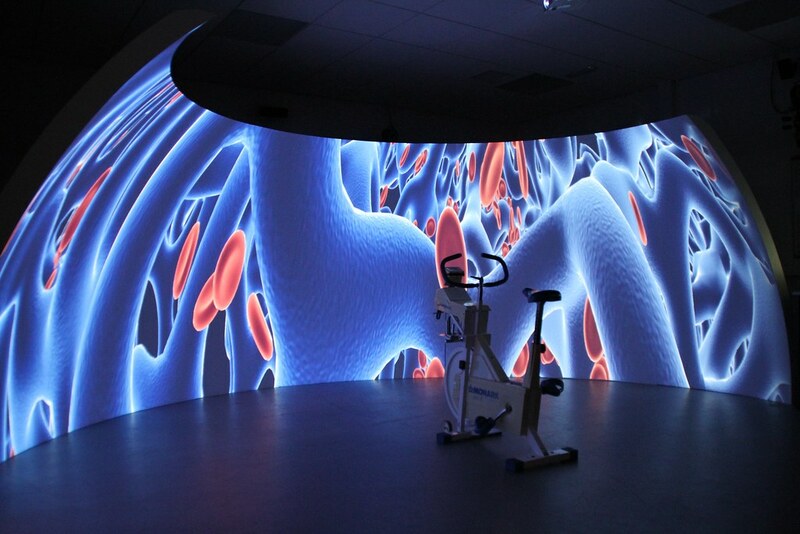 The simulator is primarily used to research reaction times and decision-making in sport-related situations. By using digital media to immerse participants in unfamiliar surroundings, psychological effects can also be assessed. And the benefits of the system have been covered by Education Technology magazine.